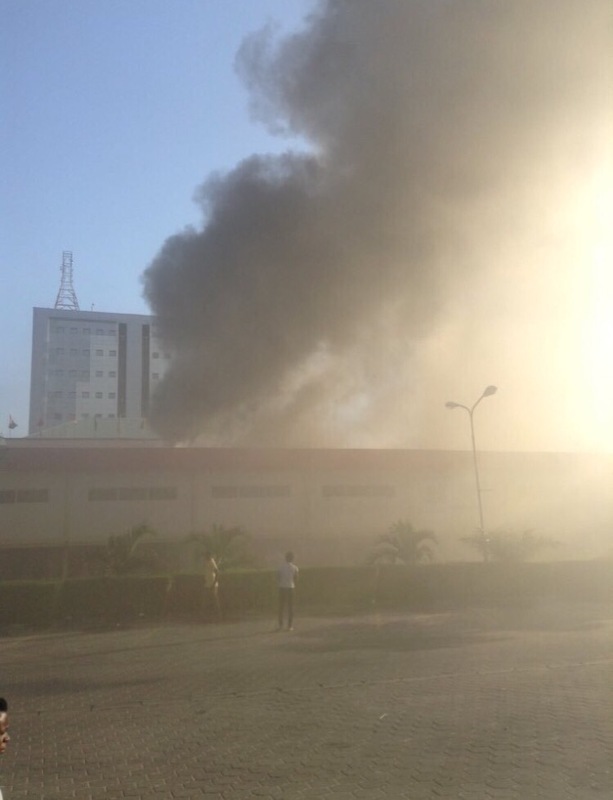 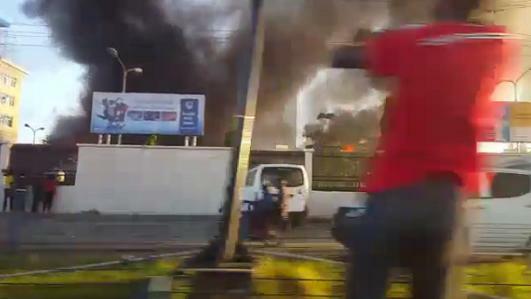 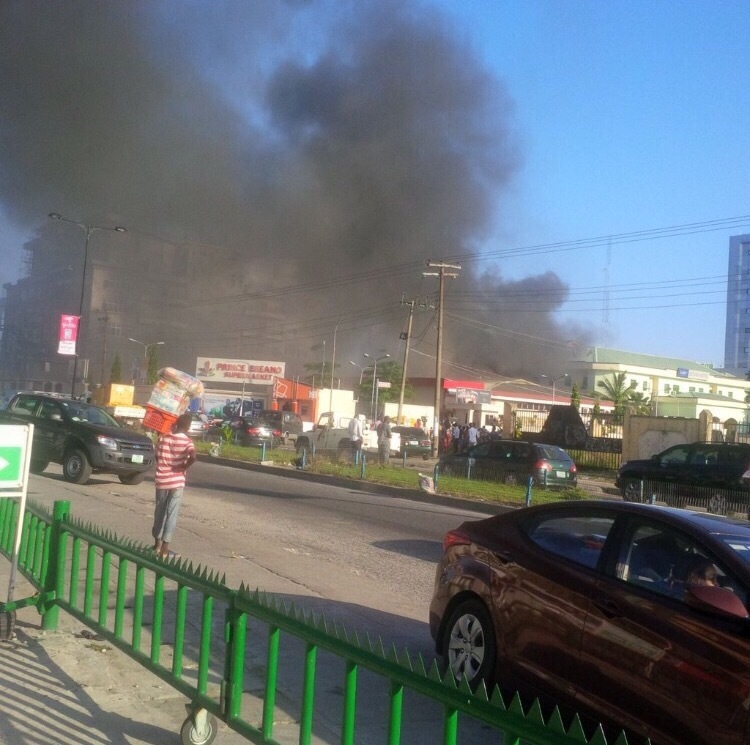 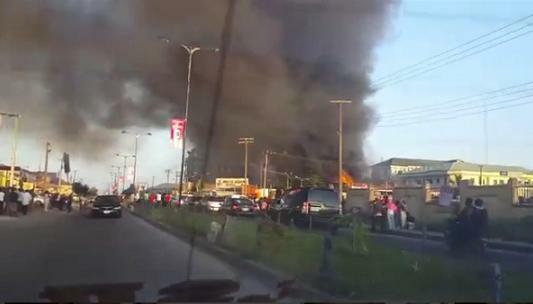 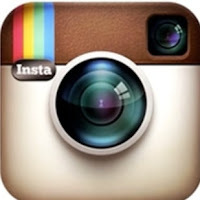 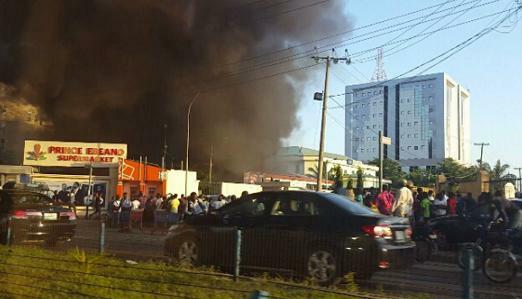 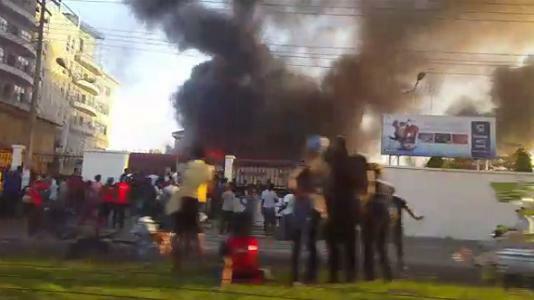 A popular supermarket serving residents of Lekki and its environs today caught fire. 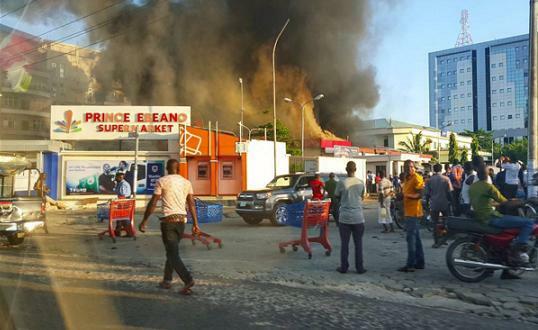 The multi purpose store located on Admiralty way in Lekki was engulfed in flames this afternoon for over 2 hours before Lagos Fire Service Officials came to put it out. 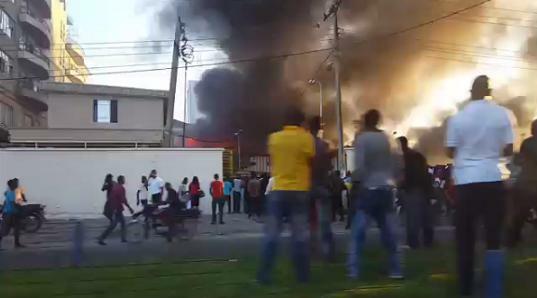 As at the time of this report, an investigation has been launched to ascertain the exact cause of the fire that started from the generator room. 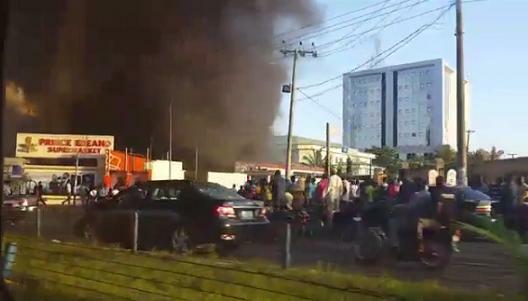 May God comfort Prince Ebeano and grant him a fresh start.